Valencia or València, is the capital of the autonomous community of Valencia and the third largest city in Spain after Madrid and Barcelona, with around 809,000 inhabitants in the administrative centre. 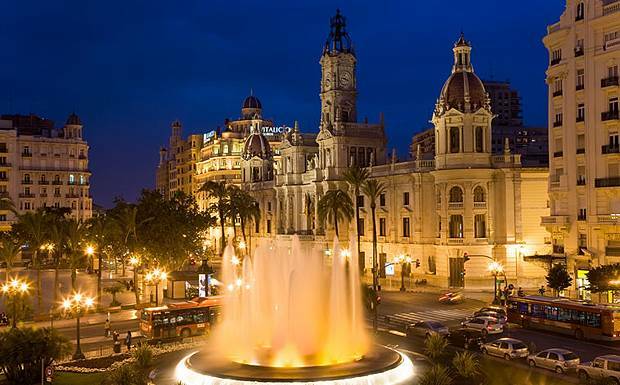 Valencia is also Spain's third largest metropolitan area, with a population ranging from 1.7 to 2.5 million. The city has global city status; the Port of Valencia is the 5th busiest container port in Europe and the largest on the Mediterranean Sea, with a trade volume of 4.21 million. Valencia was founded as a Roman colony in 138 BC. The city is situated on the banks of the Turia, on the east coast of the Iberian Peninsula, fronting the Gulf of Valencia on the Mediterranean Sea. 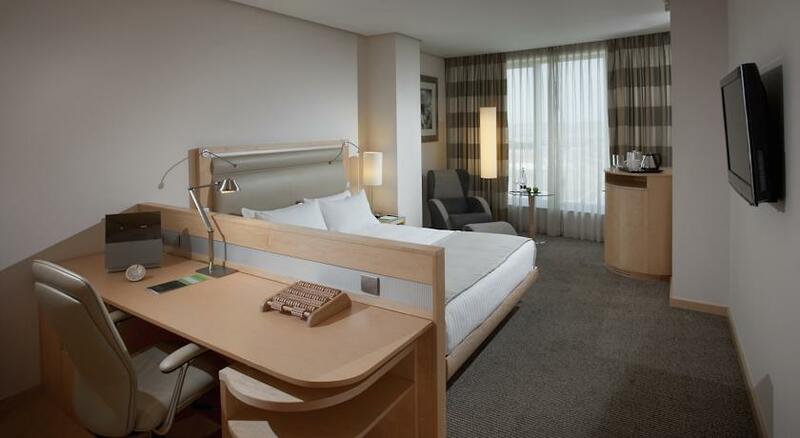 Its historic centre is one of the largest in Spain, with approximately 169 acres; this heritage of ancient monuments, views and cultural attractions makes Valencia one of the country's most popular tourist destinations filled with vibrant and historical places. Valencia is the centre of international and avant-garde design, and one of the most bustling cities in Europe regarding fairs and conferences. This city is an industrial centre which expanded its cultural and touristic possibilities, and transformed it into a newly vibrant city. Many restored local landmarks including the ancient Towers of the medieval city (Serrano Towers and Quart Towers), the San Miguel de los Reyes monastery holding a conservation library and whole sections of the old city, for example the Carmen Quarter are centre of attraction. The City of Arts and Sciences is an ensemble of six areas in the dry river bed of the now diverted River Turia in Valencia, Spain. 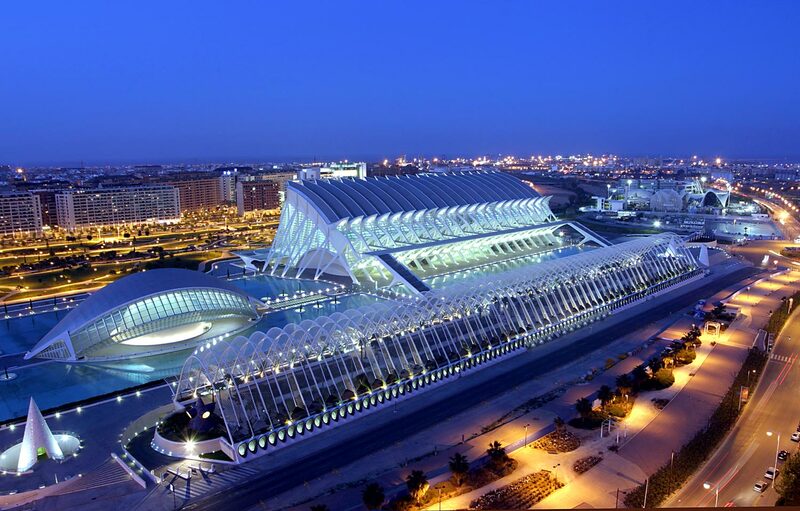 Designed by Valencian architect Santiago Calatrava and started in July 1996, it is an impressive example of modern architecture. The "city" is made up of the following, usually known by their Valencian names: El Palau de les Arts Reina Sofía — Opera house and performing arts centre; L'Hemisfèric — Imax Cinema, Planetarium and Laserium; L'Umbracle — Walkway / Garden; El Museu de les Ciències Príncipe Felipe — Science museum; Oceanografic — Open-air aquarium or oceanographic park; Ágora — A versatile space that will allow the holding of varied events. Surrounded by attractive streams and pools of water, it and the surrounding areas of the "city" are typically used as a relaxing place to walk day or night, with an open air bar outside El Museu de les Ciències Príncipe Felipe during the evening. 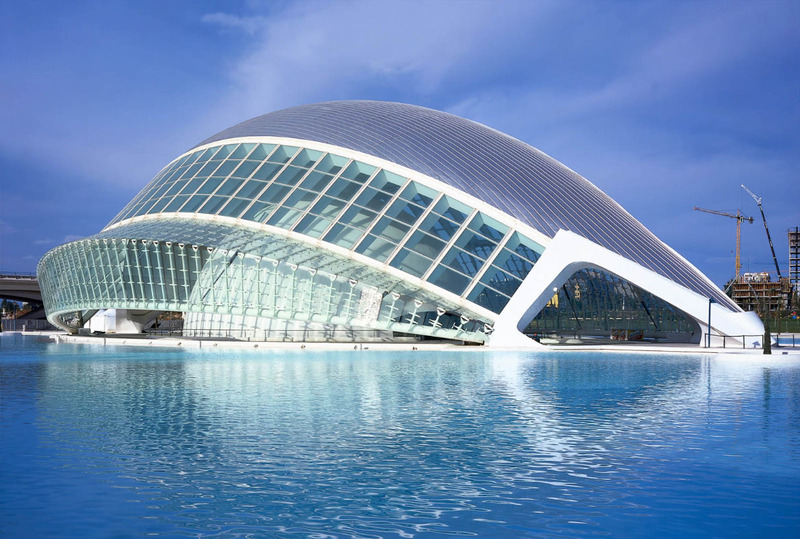 A spectacular building, designed by the Valencian architect Santiago Calatrava, dedicated to promoting the performing arts. With an extension of 55,000 square meters, the Palau de les Arts Reina Sofia will become one of the finest international venues for theatre, dance, opera and music concerts. Open the season at the Palau de les Arts Reina Sofía in Valencia. If the architecture of the new opera house in Valencia is spectacular, the quality of its programming is no less impressive. Lorin Maazel has signed as musical director for the last seasons and he will be actively involved in putting together the opera house's orchestra. Hemisferic is an splendid Laserium, Planetarium and IMAX cinema (over a 900 square meters of screen). It belongs to the City of Arts and Sciences complex. The building was designed by Santiago Calatrava. It has the shape of an eye, and is reflected 24.000 square meters lake. The cover of the cinema looks like the eye lips of the eye, and can be closed or opened. This museum belongs to the City of Arts and Sciences complex. The building was designed by Santiago Calatrava and reminds a whale skeleton. This is one of those museums where forbidden NOT to touch. It is orientated to learning the sciences through experience, so everything is graphically displayed, with huge texts and pics, experiments, buttons to touch and experience... perfect to go with kids of 7-12 years! The Oceanografic invites us to travel around the planet's main seas and oceans. More than 45,000 examples of 500 different marine species - amongst which can be found sharks, Beluga whales, walruses, sea lions, penguins and manta rays - inhabit nine underwater towers that, structured in two levels, represent the most emblematic ecosystems of the planet. The Agora in the City of Arts and Sciences is a versatile space that will allow the holding of varied events. 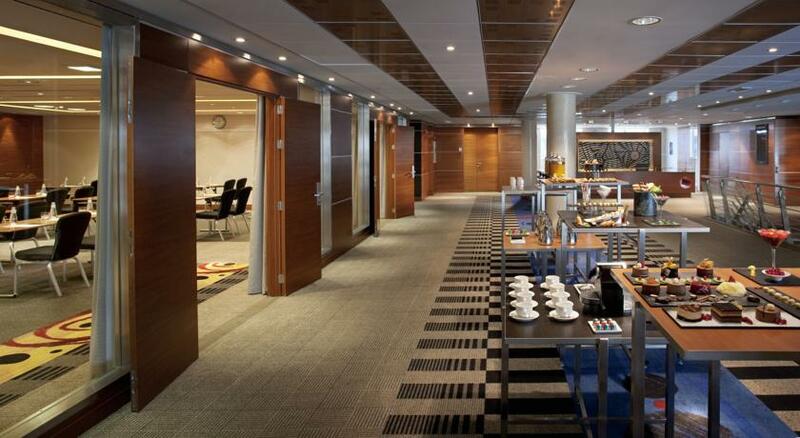 A multi-functional setting has been planned for the staging of congresses, conventions, concerts, and performances; it can also be converted into an exhibition area. This building hosted successfully the Valencia Open 500 Tennis Tournament, one of the most important international sports meetings. City of the Arts and Sciences..
Chapel of the Holy Grail..